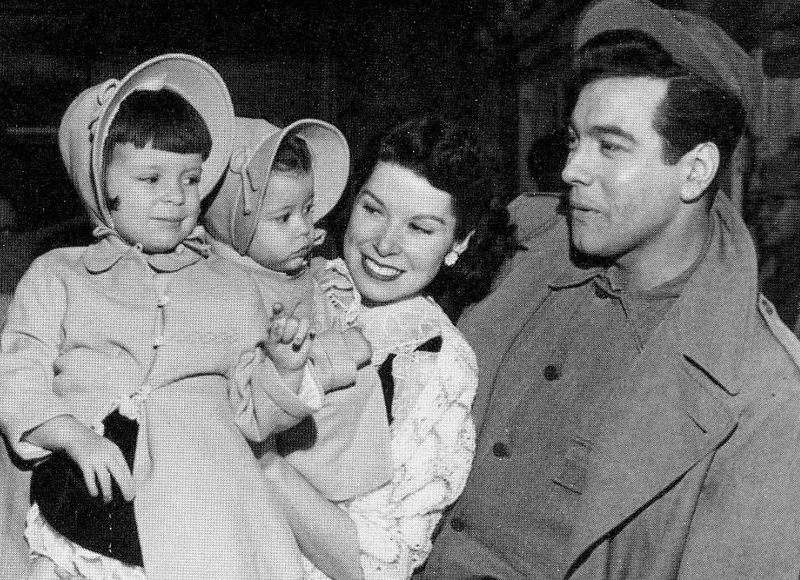 Sadly, with the exception of two Hollywood Bowl appearances in 1947-48 and a recital at the Royal Albert Hall in 1958, none of Mario Lanza's more than 150 concerts and recitals was recorded in its entirety. 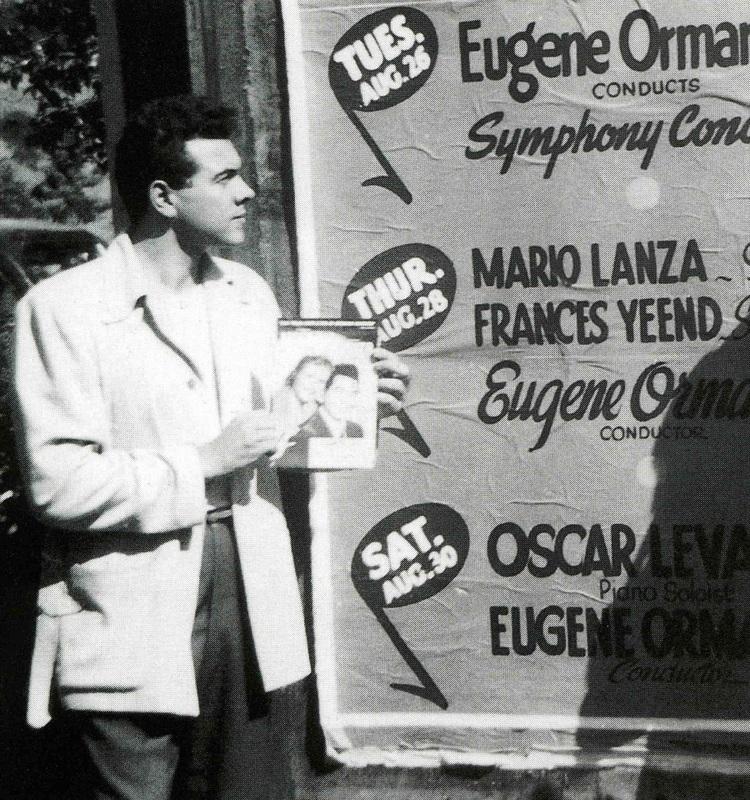 Even more frustratingly, neither Lanza's operatic debut at Tanglewood in 1942 nor his two Pinkertons for the New Orleans Opera Association in 1948 was captured for posterity. There are also a number of private recordings from the 1940s and early 1950s that provide fascinating examples of Lanza's vocal development from a neophyte 19-year-old to an assured artist of 31. Below are a sampling of these public and private performances (together with two outtakes and one of the tenor's final recordings). 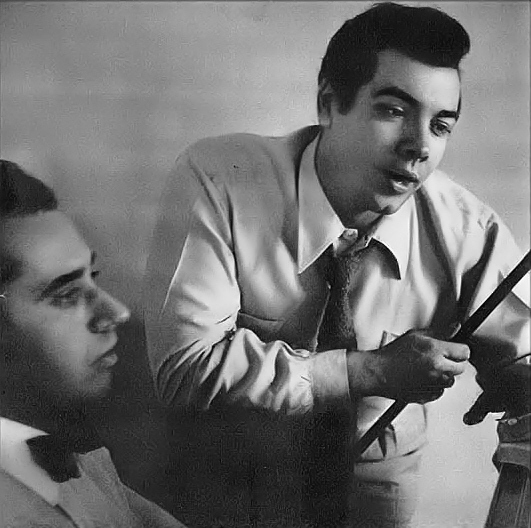 Several of these come from the CD accompanying Armando Cesari's biography Mario Lanza: An American Tragedy, which brings together arguably the best of Lanza's surviving live and home recordings----Derek McGovern. 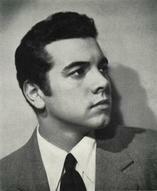 Lanza was just 19 when he recorded this one-verse rendition of Carlo De Flaviis' Neapolitan song 'Pecchè?' as a present for his father's 46th birthday. One of the earliest authenticated recordings we have of the tenor, allowances should be made for the primitive sound quality and (more importantly) for the fact that Lanza had had virtually no vocal training at this point. But while his youthful vibrato is fast here and his upper register unsupported, the distinctive and beautiful timbre is already evident, as is his commitment to the words. 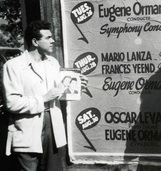 This concert was a turning point in Lanza’s career (ultimately changing the course of his life), for it was on the strength of his performance that evening that MGM mogul Louis B. Mayer, who was in the audience, signed the 26-year-old tenor to a long-term movie contract. Listening to this outstanding rendition of the difficult ‘Parigi, O Cara,’ one can readily imagine the impact of Lanza’s singing here on the opera-loving Mayer. 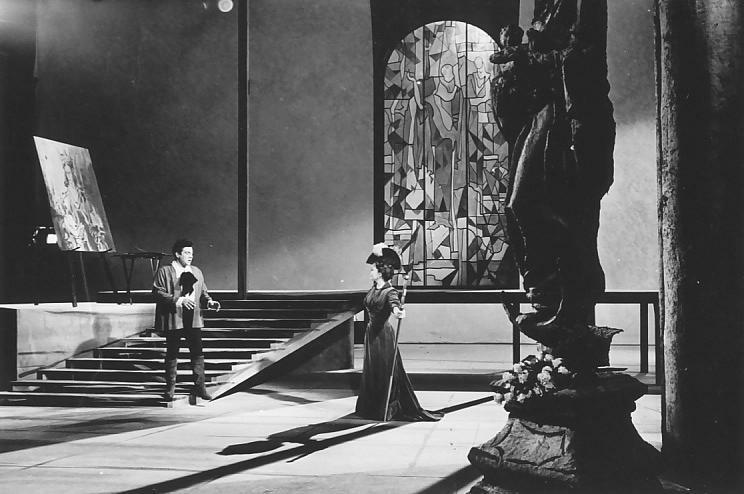 Performing here with soprano Frances Yeend (with whom, along with bass-baritone George London, he had recently formed the Bel Canto Trio), Lanza is in ravishing vocal form, effortlessly negotiating the tricky mezza voce and diminuendo. Note: Lanza's and Yeend's magnificent performance at the same concert of the Act I love duet from Puccini's Madama Butterfly can be heard here. This vocal tour de force is from Lanza’s third and final appearance at the Hollywood Bowl. Singing with great sensitivity and beauty of tone in this duet with 18-year-old coloratura soprano Mary Jane Smith, Lanza makes a suave and convincing Duke. He ends the duet on a high D flat—his highest recorded note (and one that is no less thrilling for being slightly off-key). Listen to Lanza amusing himself as he tests a new microphone, singing octave leaps and scaling baritonal depths to the delight of his four-year-daughter Colleen. As the critic James Miller once observed in Fanfare, Lanza would have been a superb Chénier, and it was one of the roles that the tenor most wanted to perform on stage. 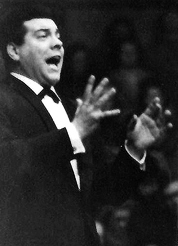 This 1952 home recording of the passionate Improvviso—complete with Lanza’s entertaining pre-aria banter and warm-up—reinforces the sense that he was born to play the part of the romantic poet. The placement of the voice here, with its rich, focused spinto sound and ringing upper register, coupled with excellent diction and an unwavering commitment to the words, make it one of Lanza’s finest operatic recordings. As the eminent musicologist Bill Park wrote in 2004, it is "a magnificent rendering of the aria . . . certainly to be ranked with the best." This rarely heard performance is by no means Lanza’s most “correct” version of one of his favorite arias—either vocally or musically—but it is one of his most emotional renditions. 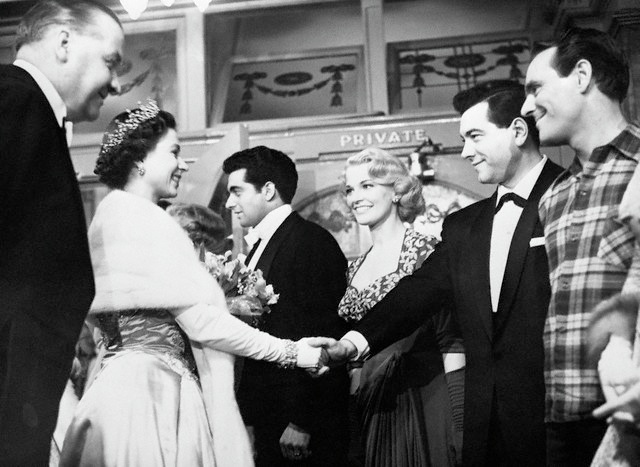 And understandably so, for the occasion was a Royal Variety Performance in front of Queen Elizabeth II (and other members of the British Royal Family) after a six-and-a-half-year absence from the concert stage. Pale and visibly shaking before he walked on to the stage, Lanza nevertheless managed to control his nerves sufficiently to deliver a passionate performance that delighted his upper-crust audience. A video of Lanza performing this aria six days later at the same venue can be viewed here. 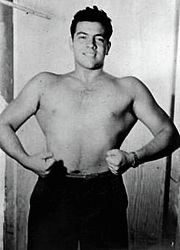 An ailing Mario Lanza recorded his penultimate album, Friml's 1925 operetta The Vagabond King, in Rome in one marathon session in July 1959, barely three months before his death. The exact recording date is unknown. For this album (and two others that Lanza recorded the same year), RCA made the dubious decision to record the tenor without the accompanying soprano—in this case, Judith Raskin—or the chorus present. The latter singers' contributions were subsequently recorded in New York a year after Lanza's death. What we hear on this recording, however, is the "raw" take—i.e. without Ms. Raskin or chorus—exactly as Lanza left it. The seventh number recorded that evening, "Only a Rose" concludes with a sustained high B-flat that provides thrilling evidence of his still-resplendent upper register.